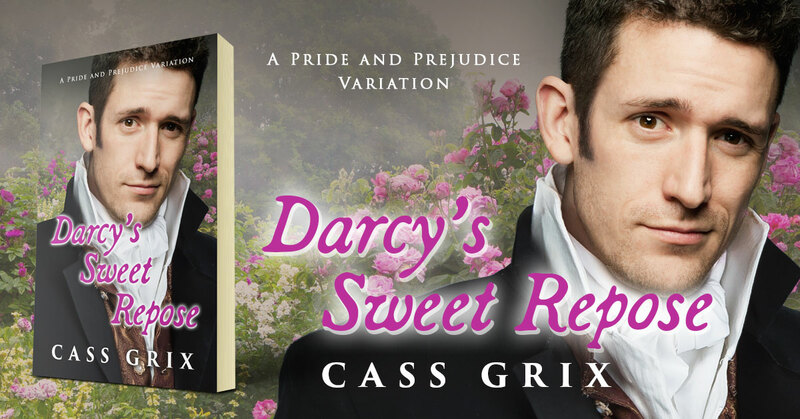 Darcy’s Sweet Repose by Cass Grix is a Pride and Prejudice variation novella inspired by Rip Van Winkle. Available on Amazon. On the way to Pemberley, Mr. Darcy falls asleep and magically wakes twenty years later to find someone else living in his house and his younger sister married with children. But his greatest concern is finding Miss Elizabeth Bennet again. He hopes he is not too late to woo and win her. Darcy’s Sweet Repose is a Pride and Prejudice Variation Novella inspired by Rip Van Winkle. This entry was posted in Showcase Spotlight and tagged Cass Grix, Darcy's Sweet Repose, Pride and Prejudice variation. Bookmark the permalink.